I worked with Reza Mahammad at a Food and Wine Show in Johannesburg a couple of years ago, and was totally enchanted by him then. The Star of India, serving authentic Indian food in London, was established in 1954 by Reza’s father, Sheikh Mahammad. He was one of the first great Indian chefs to arrive in the UK and was one of the founders of Veeraswamy, the oldest surviving Indian restaurant in the UK. Reza took over from his father in 1991 and has since added the ‘essence of Reza’ to the restaurant, providing all the ingredients for a satisfying and memorable visit. The menu features a wide range of cooking styles and dishes reflecting the diverse cuisine of the Indian sub-continent. A carefully chosen wine list complements the interesting menu. The Star of India has won several restaurant awards and been filmed for two television productions, confirming its position as one of London’s leading and most popular exponents of authentic Indian cuisine. Reza has been in South Africa filming a new series. Reza in Africa, over the last couple of months. He was invited by Le Creuset whose product he uses in his television programmes to do an evening at The Silwood Cookery School and I was lucky enough to land an invitation. What an evening! Not only was it wonderful seeing him again and renewing our friendship, I was again blown away by his knowledge, not only of the ingredients he uses, but also the social and historical backgrounds of these ingredients and also the various cuisines of India. He is wildly amusing, jabbering away all the while he is cooking. 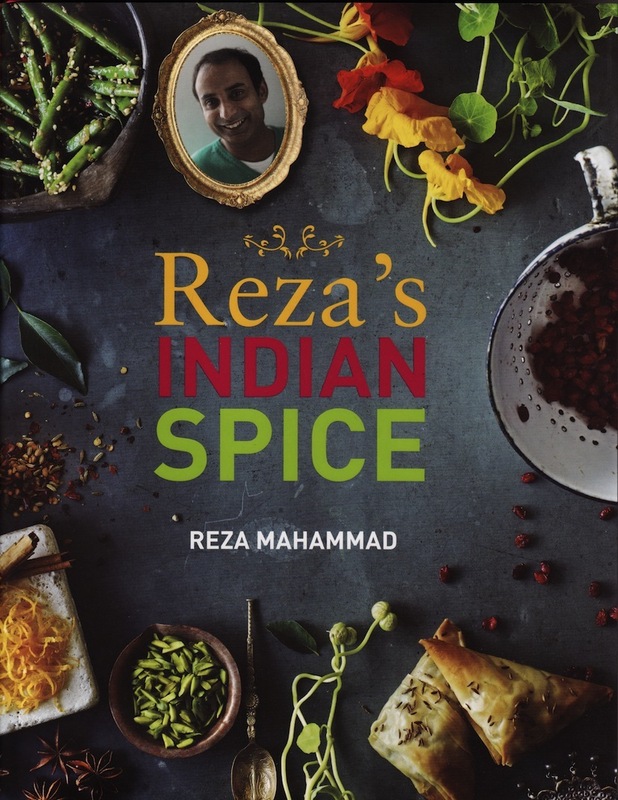 He produced some fabulous dishes for us from his latest book Reza’s Indian Spice, a signed copy of which he kindly gave me. What I like most about his food was that it was not all chili heat – the food was elegantly spiced and so so tasty. I will definitely be keeping this book in my kitchen and it will be ennobled I am sure by some splashes of oil and dustings of spices. I must declare an interest here. I am MAD for Le Creuset. 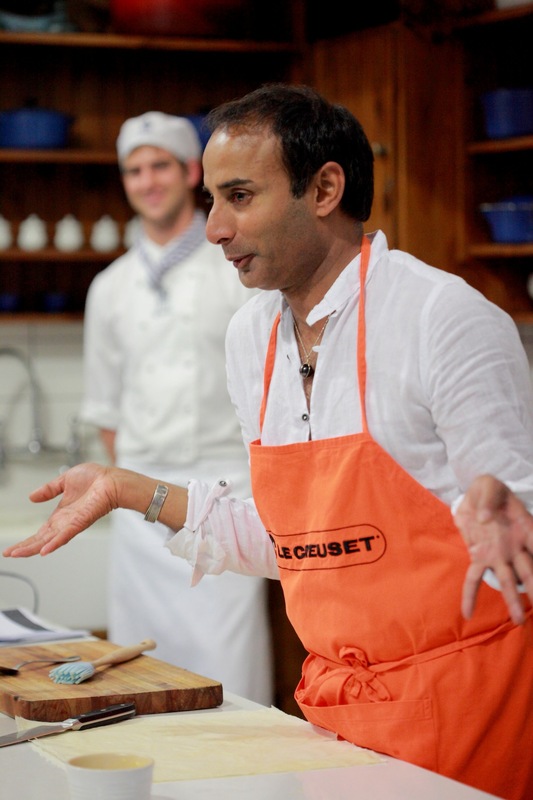 I have used their wonderful pots on my TV slot on the Expresso Breakfast Show for the past 20 months, courtesy of Ben Paine, Managing Director of Le Creuset South Africa and Jamie Paine, Brand & Retail Manager of Le Creuset South Africa, and have a few pots and their lovely cast iron casseroles at home too. I inherited a casserole from my mother, which we used until fairly recently, 50 plus years later, when it was retired after sterling service in the kitchen.